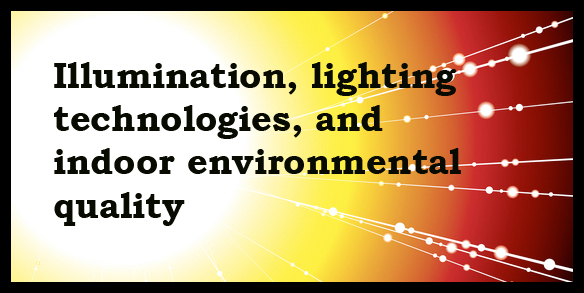 Editorial by Nazaroff on “Illumination, lighting technologies, and indoor environmental quality” – microBEnet: the microbiology of the Built Environment network. Definitely worth checking this out: Illumination, lighting technologies, and indoor environmental quality – Nazaroff – 2014 – Indoor Air – Wiley Online Library. It is an editorial for Indoor Air and has many interesting bits. Of particilar interest to me and microBEnet is the part about how lighting affects the microbiology of indoor spaces and also a connected topic – the impact of UV irradiation on microbes indoors. Worth a look.